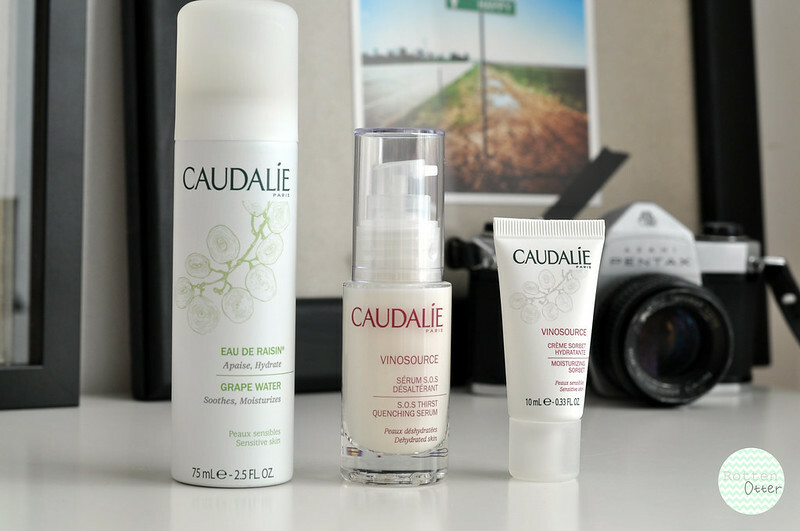 Caudalie is one of my favourite skin care brands so I took advantage of the Escentual offer to try some new products. Throughout March French brands were discounted on Escentual so I bought some pretty good bargains. I'm still waiting for one gift set to arrive which was out of stock but still available to reserve. 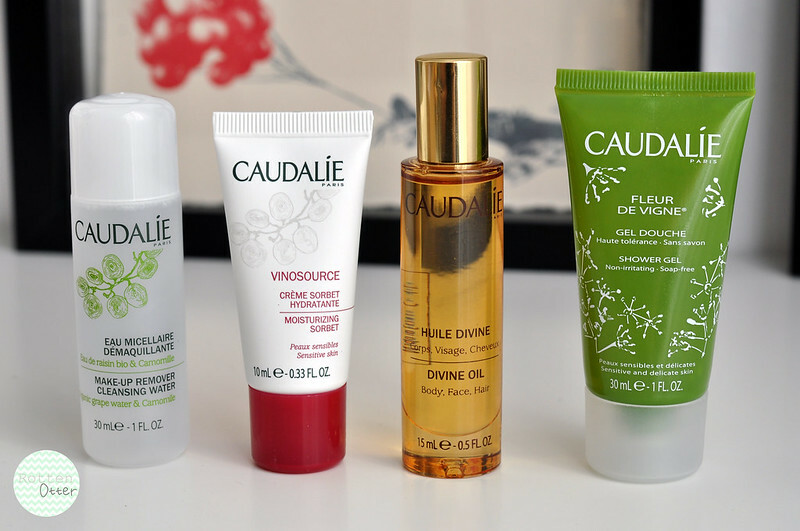 I use the Vinosource serum from Caudalie each night and I'm going through my bottle pretty quickly at the moment. The serum costs around £26 on its own so I bought a back up for the same price but the set included two other products. Both the Grape Water and Moisturising Sorbet have been on my to try list so I'm excited to see how they work. The second gift includes the Make-up Remover Cleansing Water which smells amazing. I'm going to try and wait till I finish my Bioderma before starting this but I don't think I'll be able to wait. This set also includes another sample of the sorbet which I will either keep for myself if I like it or pass it onto my mum to try. Next up is the Divine Oil which I've wanted for such a long time. I've seen a couple of different gift sets which included it, I've added them to my online baskets but never actually bought them. This is only a mini bottle so it doesn't come with the spray lid making it a bit more messy to use. I'm not so keen on the scent but it sinks into the skin so quickly for an oil I was really impressed with it. Finally in the set is the Fleaur De Cigne shower gel which again, smells amazing. I do like my shower gels so I'll be trying this out tonight. 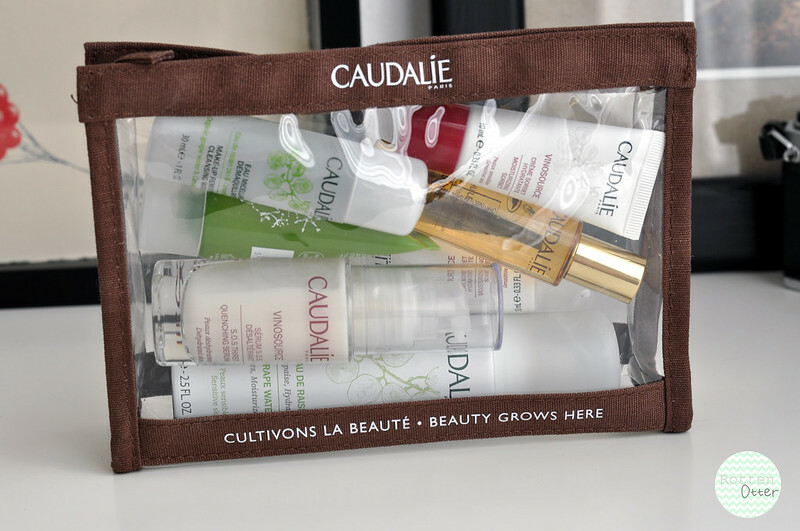 What's your favourite skin care brand?